2-4 players. Ages 9 - 18. "Mindfulness, like any skill, takes practice. What is something you are good at that took a while to learn?" "Keep your eyes open and sit in silence for a few minutes. How did you feel at first? Did you feel any different when you were done?" This game is terrific. It helped inspire a teen to refocus on working on her own issues rather than looking at how others could change. I plan on using this frequently. 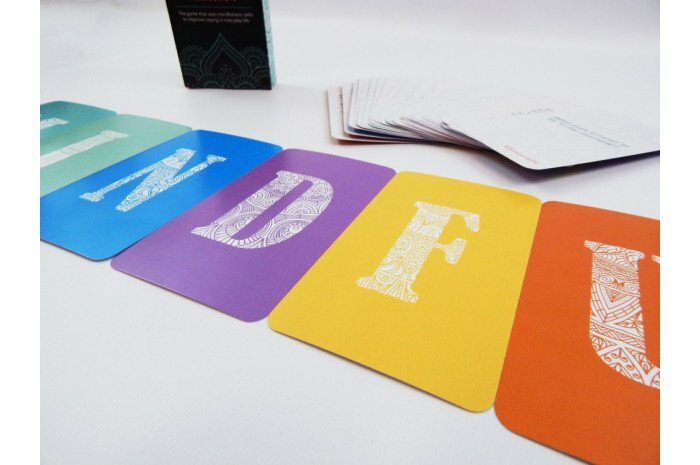 These cards work wonders in the therapy room. They open up conversation and can be used relationally. I've used them on older children as well as adults. 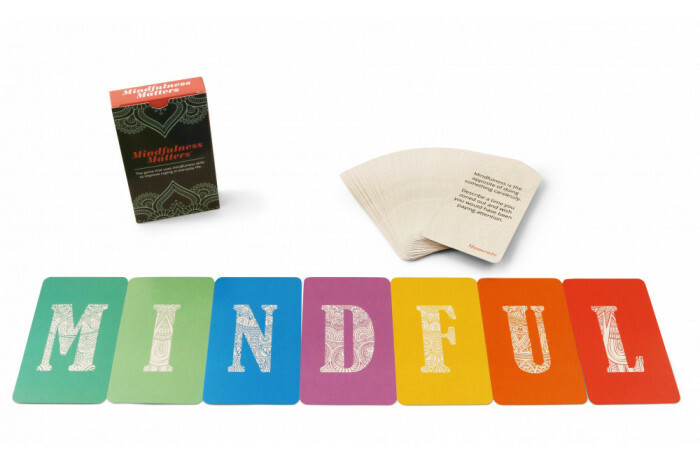 I've since ordered other sets but keep coming back to these as the questions are more focused on being mindful. This game was great! 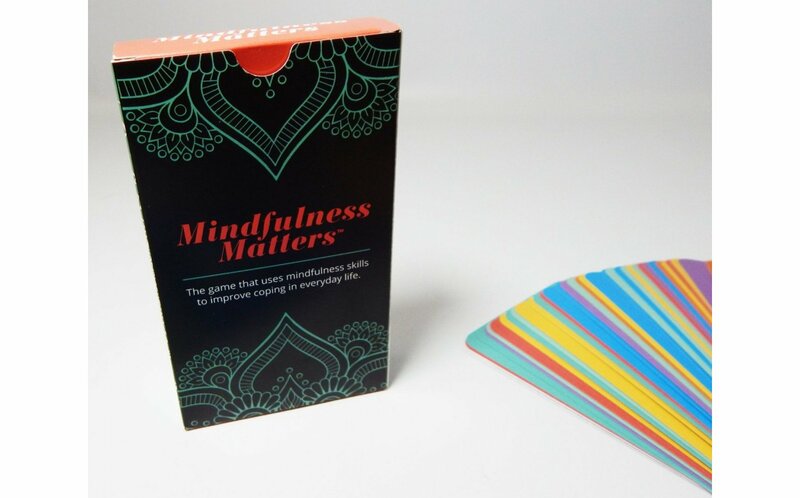 I played the cooperative version with one my my 7th grade boys who tends to be indifferent or sarcastic whenever we attempt to do anything related to coping skills or mindfulness. I wanted to try this since he usually will play any game and he enjoyed trying to spell out the word and wanted to keep going even when his next class was starting since we only had one letter left. This game is AMAZING! 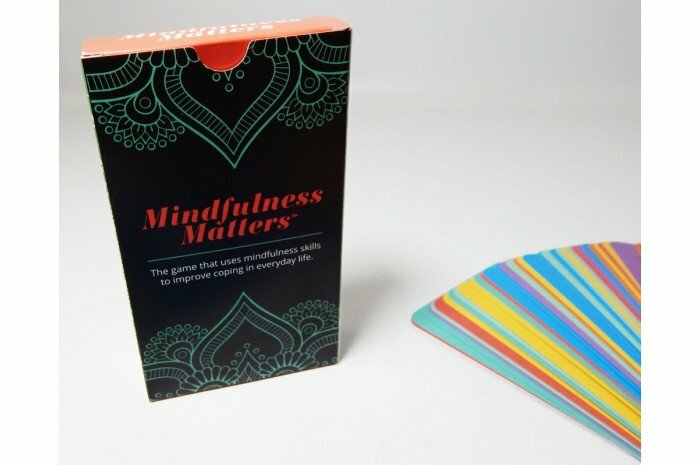 I’ve used it with pre-teens through late teens and all have done well with it - helps to spark conversation, elaborate on what mindfulness means, and teaches techniques they can use. Coworkers have borrowed to use and gave positive feedback as well! 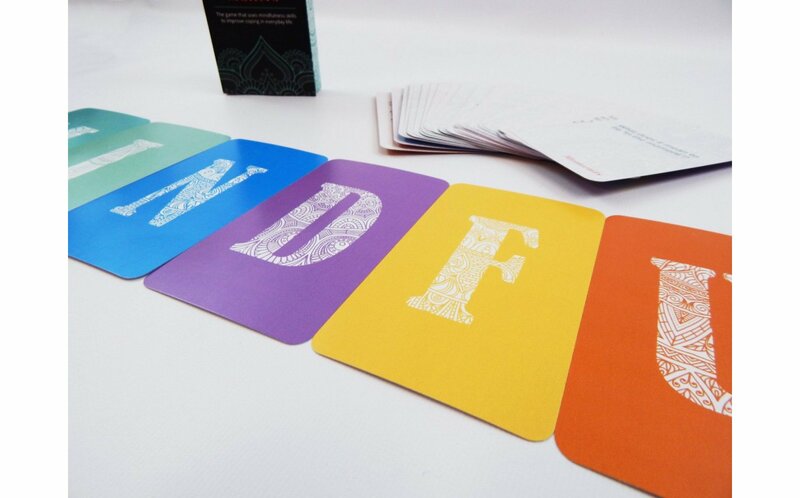 This is a fun way to talk about and practice this concept. These have helped my special needs daughter and teen open up so we can talk as a family. I really recommend this game.